16:9 widescreen aspect ratio screen that easily clips onto frame. Frame assembles in minutes and is easily moved by one person. 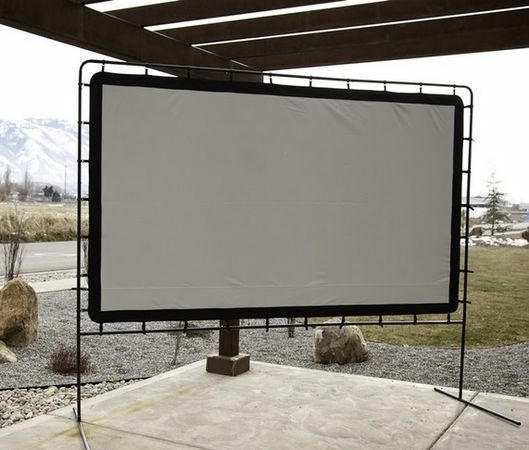 Size: Screen viewing dimensions: 115 in W x 65 in H Frame Bottom to Floor: 23"